Branding today is at the forefront of identity, image and marketing. 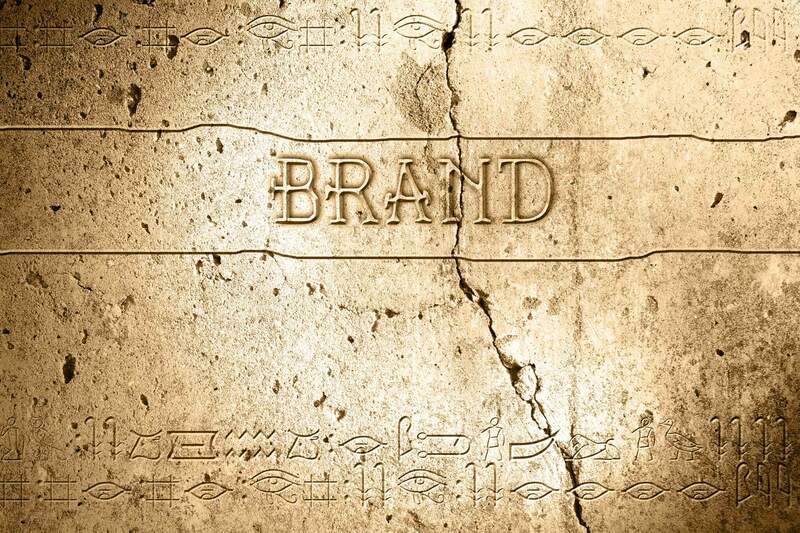 However, how did branding originate? Initially, the idea of branding was to show ownership of things that were of high value. It is thought that the practice began with Egyptians who engaged in livestock keeping. A distinctive symbol was engraved onto the animal’s skin using a hot branding iron. This made it easier to identify lost cattle since one could deduce the owner from the symbol. Originally, brand meant a piece of burning wood. Later, the concept of branding changed to show ownership. The things that were originally branded include livestock, slaves and timber. Different engravings on ceramics were not only used to identify the owners but also the kind of material used. It involved people from Mesopotamia, Greece, China. Stone masons in Egypt also drew symbols on the stones used in the construction of pyramids. This helped them get better pay, since it differentiated their work from non-Egyptian workers. Modern branding is used by businesses. For example, Adidas and Mercedes have worked hard to ensure that their brand is seen to be more than just products and developed it to be a status symbol. Adidas also succeeded in creating a counter-culture movement by tapping into the music industry. To target young people so that they easily identified with the brand. Mass producers of goods needed the sale of their products to expand into a broader market. Generic packaged goods had difficulty in competing with the familiar local products. Manufacturers who packaged their goods had to convince the market that their goods were just as good as the local products. Marketers came to realise that there were personalities attached to branded goods. This, in turn, made the goods sell more because of their brand identity. Currently, brands remain active in portraying a business, product or service and its personality and style. However, since attention spans have reduced, brands are interchanged now and then. For example, most companies tend to copy the brand of an already successful company to sell their products. The brands currently in the market are often just a modification of other successful businesses. Apple has an incredibly strong influence. This has led to an imitation of their “look” without people understanding the meaning behind it. The development in branding has evolved from something that was used in the identification of goods to a powerful marketing tool. A recognisable brand creates the sense that the business has a good impression of the market. Customers develop an emotional bond with the brand they consistently buy, and they are often very happy to recommend their favourite brands. At Blend we specialise in creating world-class brands. If you would like to find out more, please get in touch.